Decidedly a different Diwali out here! Not much veering away from the traditional celebrations of having loads to eat and fun things to do! Our HR leader Miti had many many tricks and treats up her sleeve and she let go of them one after the other! 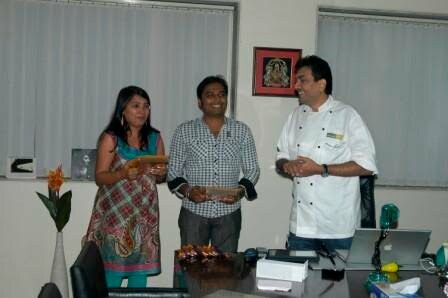 First of all, a cookery competition with the staff being divided into teams . Theme – Innovative Diwali sweets or savouries…. There was extremely brisk activity in the kitchens with everybody trying to keep their ideas a big hushed secret! But it sure does not work in a work place like ours because everyone is very friendly…and helpful. So there were sweets and savouries set before me and does give a judge a difficult time in choosing the best? Always! and I also liked the innovative ‘Fête des lumières‘ made by the second winning team. 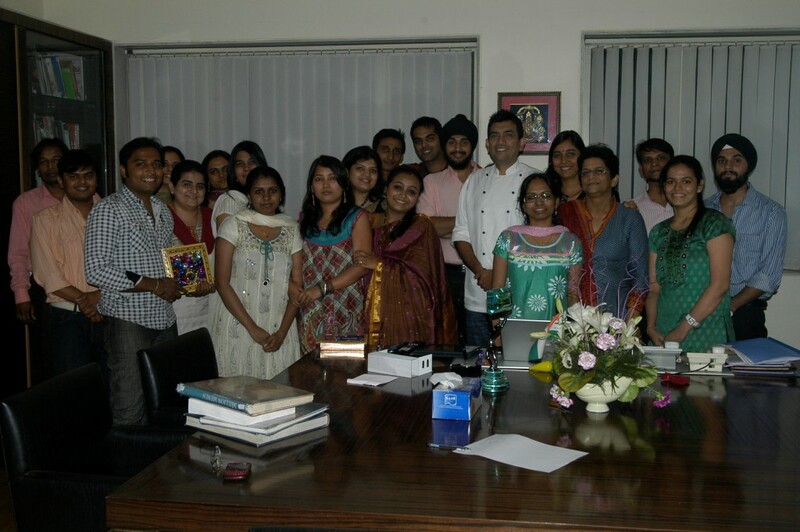 We were all thrilled to know that creativity got a new sparkle on Diwali day. It was very simple. 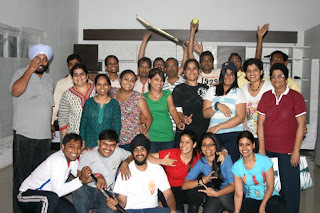 The staff had to nominate one of the Khana Khazana Member for the following categories. Who do you think resembles the following? Rassi Bomb: – The most Hot character in the company in attitude,looks, work and talks – They nominated me!!! See, I told you we had a lot of sparklers at work! Wishing you all a fantastic day ahead replete with lovely sounds of laughter and aromas of good food! I will take this space to wish you all a wonderful festival of Diwali and may this whole week will full of good food, family get together, lights and laughter! There is a lot waiting for you on www.sanjeevkapoor.com in terms of Diwali snacks and sweets…nothing can beat the taste of nicely made home made stuff with that one extra ingredient which not even the best sweet shop in town can provide…the ingredient of love that goes into the making of special sweets and snacks by you for your loved ones. We could go on about the benefits of having home made things but that is obvious: they are pure, economical, and hygienic. Secondly, you can plan your cooking in such a way that you could be ready with your home made goodies packed in gift hampers well before the Diwali day. Even though chocolates and dry fruits are considered more contemporary but wouldn’t you be thrilled if your sister or niece or sister in law came up to you with a box of sweets and told you, I made this especially for you! I would be very happy to know that the effort has been for me! Best wishes from us all at Khana Khazana! What can one say about TV programmes? Lots and lots! Some are good and some are not. What concerns us here are the cookery shows and choosing the best cookery show to watch and follow every episode. 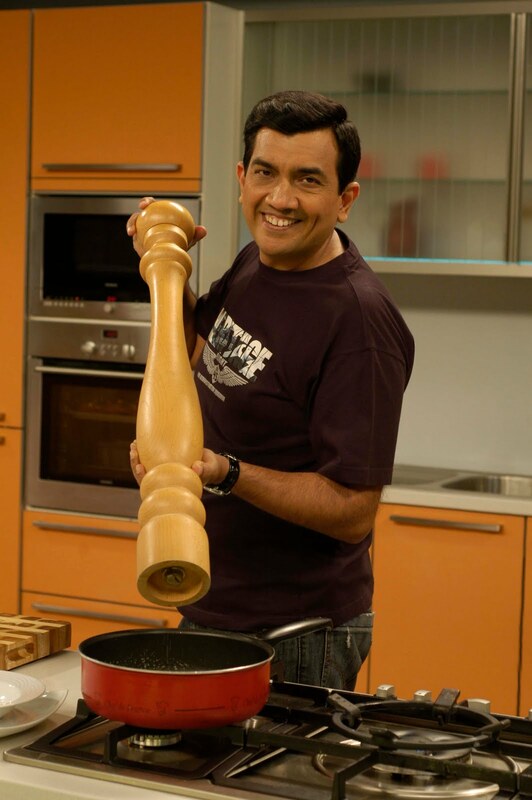 These days Master Chef (Australia) has caught the eye and coming in a few days would be Master Chef (India) with Akshay Kumar, India’s celebrated actor, as host. 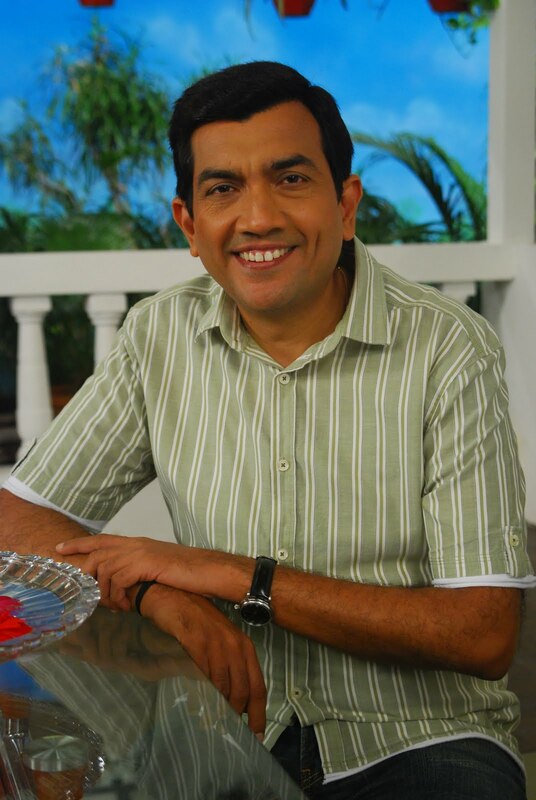 Khana Khazana, on Zee TV, has been adjudged the Best Cookery Show by the Indian Television Academy, consecutively for a number of years. 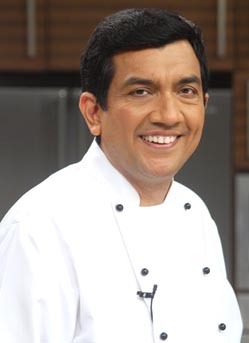 Initially named as Shriman Bawarchi, the name did not strike the right chord, so Sanjeev Kapoor suggested Khana Khazana. This cookery show has a huge platter to offer – from Punjabi food to Continental food, from traditional mithais to low fat cooking, from International cuisines to lesser known foods of India. There are many reasons why this show has been at number one for more than a decade. 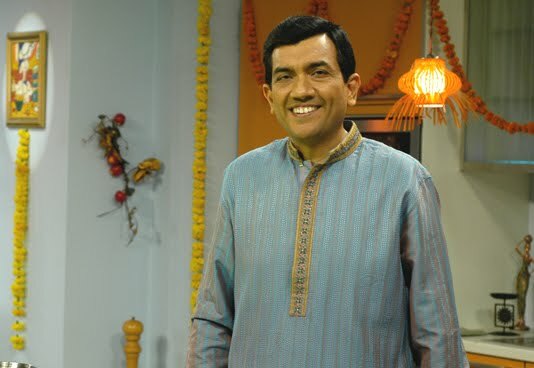 odes were a trial run for Sanjeev Kapoor and he has the knack of developing his recipe on the spot, once he has the ingredients set before him, the ideas just seem to flow out. 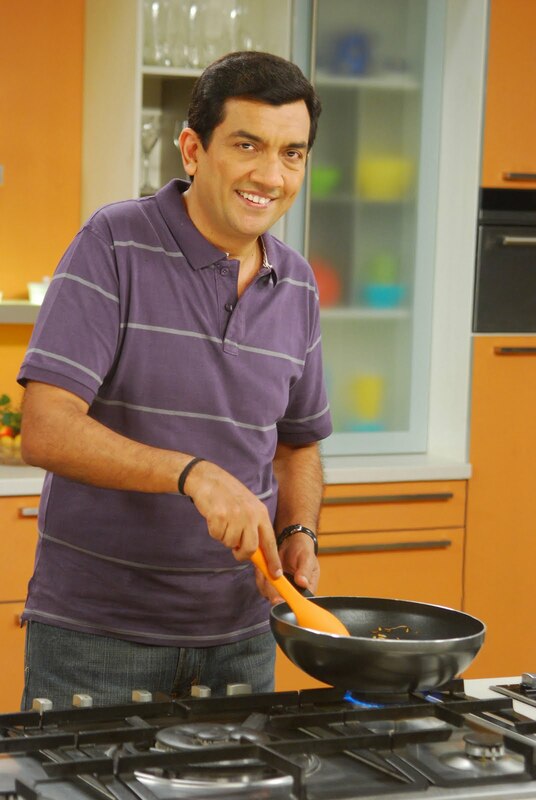 Shaam Savera, one of his earliest signature dishes, was initially meant to be palak koftas in palak gravy but in that episode history was written. Now Shaam Savera is a palak kofta with paneer stuffing served on a bed of red tangy makhni gravy. A visual treat, indeed. I was thrilled to see the enthusiastic response to the Monsoon Snack contest. I thoroughly enjoyed reading all your recipes….it was no mean task short listing only 2 winners! And while reading through good recipes, hunger pangs are bound to strike and this is what happened to me too….lovely mouth watering contributions and I think so many of you are talented chefs. So, Congrats to the winners and better luck to all of the rest for the next time. 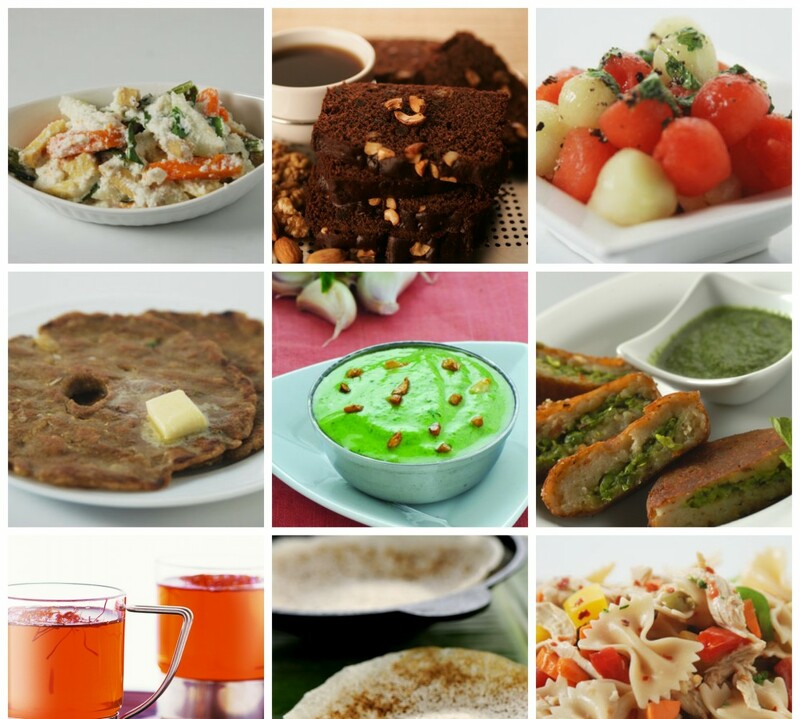 We have just finished canning some more episodes of Khana Khazana and there are some novelties lined up for you….how to cook fast and smart, how to cook with less fat, and loads of different snacks best for tea time and as starters. I do want to tell you more but then there is no fun if the suspense is not built up. Right! In fact, the demand for new snack recipes will live forever! I think everyone enjoys a new starter or snack for the simple reason that they add some panache to daily food of dal chawal roti sabzi. Imagine a meal with the essential four just mentioned and one exciting new snack dished up as a surprise…kids would be thrilled and so would the elders be as excitement is an important addition to the dining table. The same holds true for new desserts and one can add zest to daily meals by serving new snacks and desserts alternately.